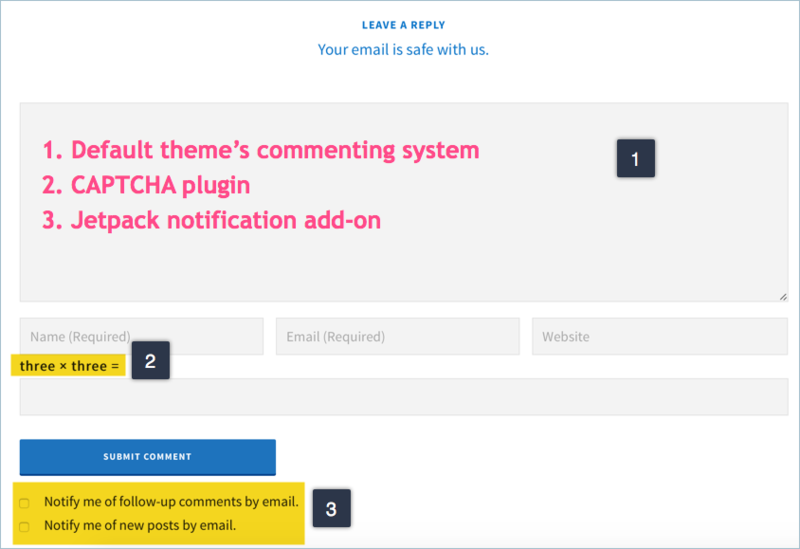 Home » Website Building » WordPress » How to Manage Comments in WordPress? WordPress became popular blogging platform due to the fact that it has many built-in features. One of the most important features for bloggers is the effective management of comments. WordPress offers unlimited possibilities of using different commenting systems, managing comments and protecting your site from spams. In this article let us explore how to manage comments in WordPress site. There are three ways to use comments to your self-hosted WordPress site. Every theme has its own integrated commenting system and no need to install additional plugins for this. This is also the most recommended way of getting feedback from visitors due to alignment with theme’s layout and look. But default commenting system will have simple features like name, email, website and comments box fields. As the social integration is falling under plugin territory no free or commercial themes will offer social integration with default comments. There could be lot of reason you don’t want to use default comments and look for enhanced features. For example, if you want to have integrated moderation and social login features then you should look for third party commenting solutions. Jetpack comments and Disqus are two most popular commenting plugins available for WordPress among many others. In most situations you will be end up in modifying the theme’s commenting system for adding additional features. For example, follow notification or captcha may need additional plugin integration. If your site is relatively new then try with multiple options to check the relative responses from users. It is also possible to switch between one commenting platform to other at any point of time without loosing existing comments. “Comments” section in dashboard will show a notification whenever a new comment is received. In order to quickly handle comments, activate keyboard shortcuts for comment management under your user profile. This will help to easily handle the comments like approving or deleting. For example just press the key “j” to highlight the comment in light blue color and then press “a” for approval or press “d” for deleting the comment. Below is the list of shortcuts for managing individual comments in WordPress. Bulk actions are also possible on approving, unapproving, marking as spam and deleting. Below is the list of shortcuts for bulk comments processing in WordPress. Refer our article on WordPress keyboard shortcuts to know more shortcuts. WordPress iOS and Android apps help to manage comments on the go from your mobile devices. All settings related to comments are available under “Settings > Discussion” where you can make settings applicable at entire site level. Enable or disable comments at site level. Set whether login and approval are required for comments. Blacklist based on IP address or words. Enable avatars and set default gravatar image to be displayed. Default gravatar image will be displayed if the commenter does not have registered avatar image at gravatar.com. Enable or disable email notifications for new comment and when a comment is held for moderation. WordPress will send out an email and you approve, delete or mark the comment as spam from the email link. Control the display of the comments like the sequence and the thread. Besides the site level settings you can easily control the individual posts directly from the post editor. Enable or disable comments on individual article in WordPress post editor. All comments for that post will be shown in the post editor below the content. You can moderate individual comments directly from the editor. Enable comment moderation to filter the spam entries before publishing it online. If required enable mandatory login for commenting. Monitor spam queue and blacklist the IPs from which you continuously receive spam. Blacklist words not to be part of the comment. 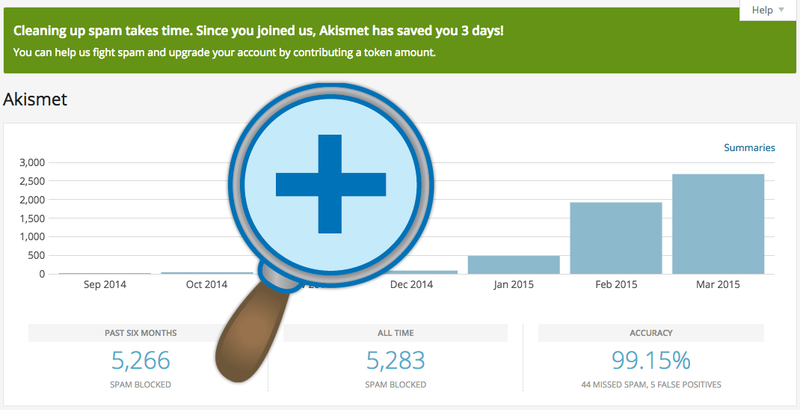 Akismet is the popular plugin from Automattic Inc helps protecting comment spam. Install Akismet to save your time in manually filtering the comments one by one. You can also use additional security plugins to stop proxy commenting and block spam commenter’s IP address. You can enable or disable commenting at site level as well as on individual blog post level. It is recommended to disable the comments on pages as the content on pages generally do not require feedback from visitors. Plugins like Yoast SEO will show the notification when the comments are enabled for pages. Refer separate article on how to enable or disable comments in WordPress.